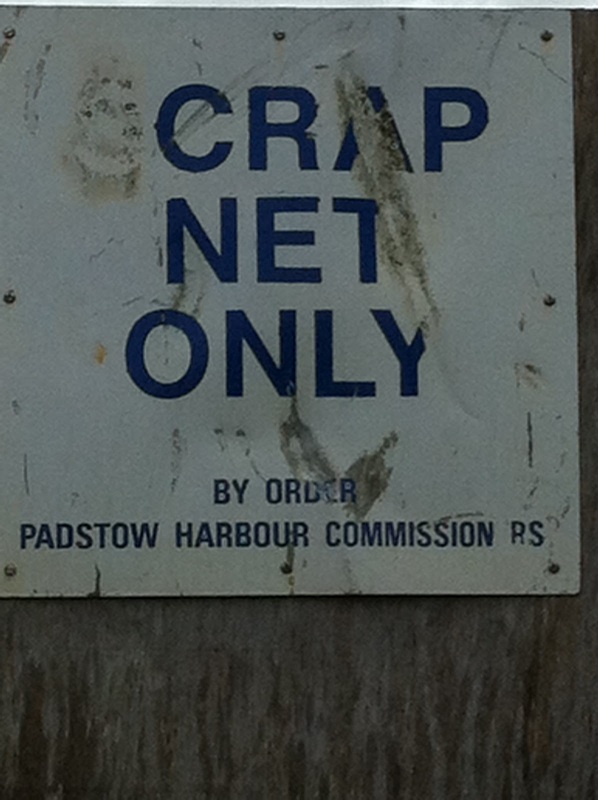 I really am so easily pleased...I've seen this sign (down in Padstow) every time I have fish and chips (Rick Stein's, and undoubtedly the best fish and chips EVER) and sit on the harbour edge and it never fails to tickle me. I wonder if the people responsible for this sign mind that it's not entirely in its original form? 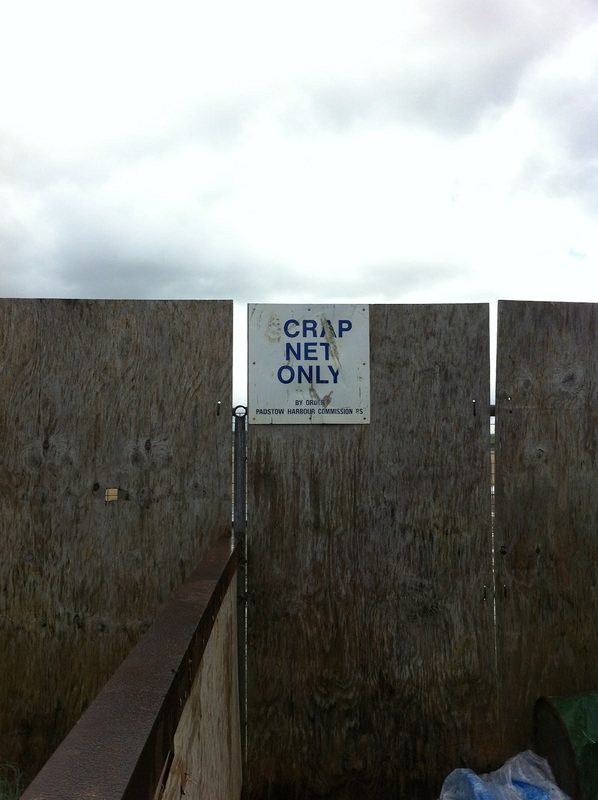 But I guess the meaning remains the same; I'm not a fisherman but I'm guessing scrap net makes for a pretty crap net too!